Cover the chicken pieces with oil, garlic, oregano and thyme. 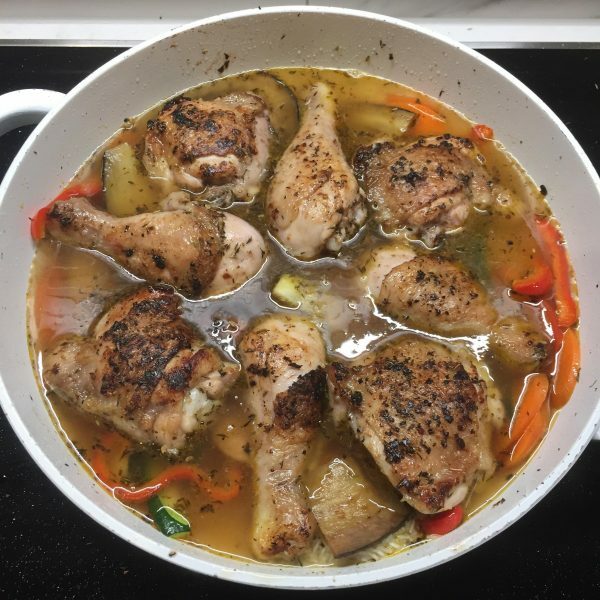 Brown chicken in a ovenproof frying pan or casserole dish on high heat before removing to a plate. Add more oil if needed and grill the eggplant, zucchini and capsicum in batches. Remove to a plate once cooked. Add carrots to the pan and fry for a minute or so. Return the grilled vegetables to the pan with the rice and stir. Arrange the chicken on top of the rice and vegetable mixture. Cover with a lid or foil and transfer to the oven. Cook for forty minutes or until chicken is tender. 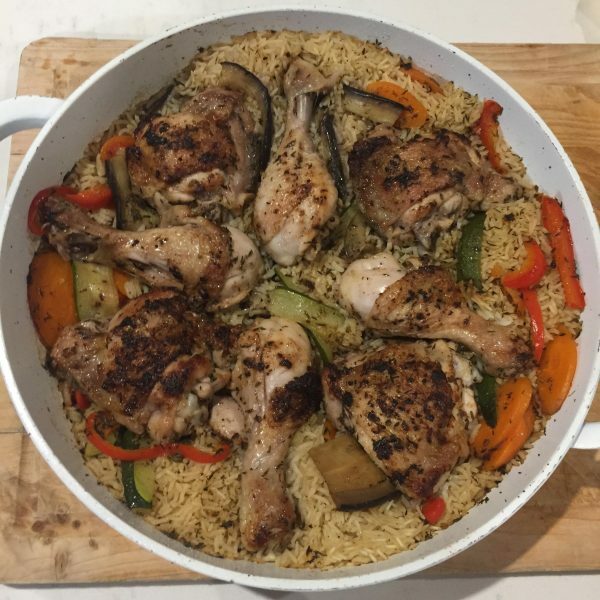 This entry was posted in Recipes and tagged One Pot Chicken with Rice and Veg.